Pensoft Perspective is a personal information management software program for pen-based devices. 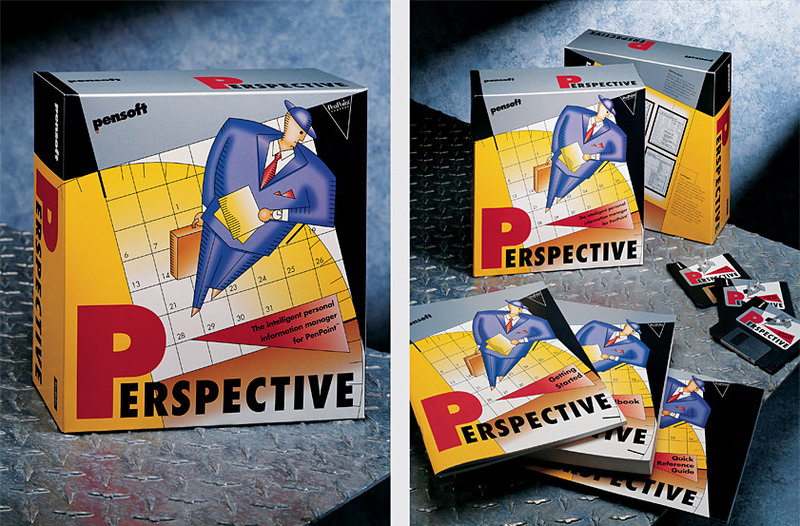 Our solution conveys the concept of “putting your time into perspective” using a Constructivist-inspired composition incorporating a stylized businessman, calendar, and clock. The box planes are organized at an arresting angle to reinforce the idea of a new “perspective” in the organization of personal information and enable the package to stand out on the retail shelf.